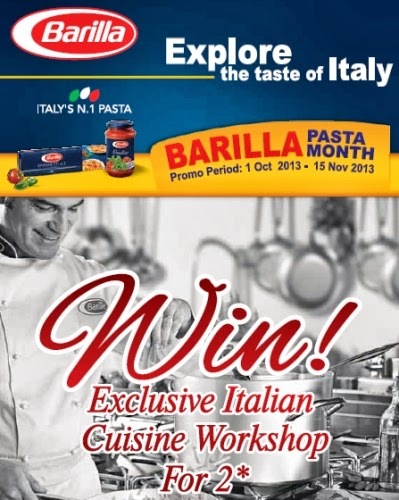 Send completed entries to "Barilla Pasta Month Contest, Sangla Foods Sdn Bhd, Lot 4, Jalan U1/25A, Hicom Glenmarie Industrial Park, 40000 Shah Alam, Selangor" before 15 November 2013. The more entries submitted, the higher the chance of winning. Visit Barilla contest form for more details.